Turkish President Recep Tayyip Erdoğan on Saturday expressed his concern regarding the chaos caused by the 'Yellow Vest' protests in Paris, while pointing to France’s discrimination against refugees and Islam, independent news site T24 reported. The Turkish president, in his first remarks on the ongoing street clashes, while delivering a speech in Istanbul, stressed he is against the chaos caused by the protesters, as well as the disproportionate use of force by French police. ‘’The picture that has emerged shows us that Europe has failed in the lessons of democracy, human rights, freedoms,’’ Erdoğan said, adding, "Those who provoke hostility against refugees and Islamophobia have been caught in their own trap." Last week, hundreds of people were arrested and scores injured in violence on the streets of Paris, some of the worst clashes to take place in the French capital for decades, in the fourth weekend of anti-government protests which have turned violent. Four people have been killed as yellow-vested protesters angry at President Emmanuel Macron and France's high taxes continue to take the streets. Around 31,000 people were taking part in Saturday's demonstrations, according to France’s junior interior minister, of which 8,000 were in or around Paris. 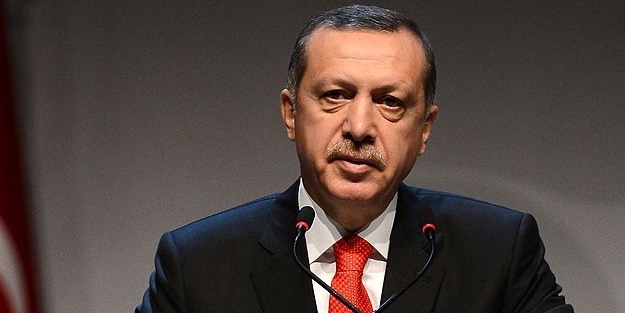 Erdoğan: Başörtüsü tartışmasını yeniden açmanın kime, ne faydası var!